This kit was a fun, but complicated beast. The fit was overall good, but the instructions missed the mark in several areas (such as leaving out the grab-handle on the left side). After construction, I decided to go a different route with the winter whitewash. 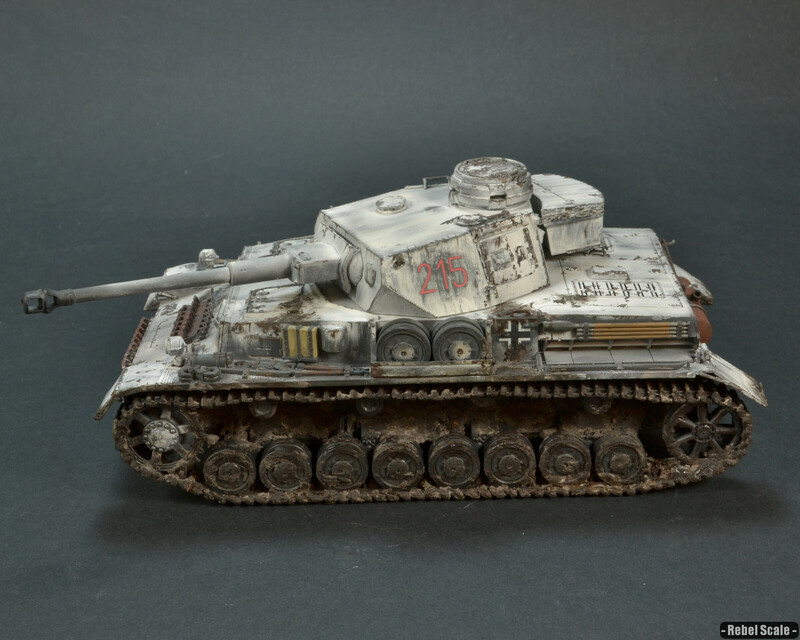 I painted it Panzer Grey, then I used Tamiya Flat Base to replicate the white areas. The Flat Base dries powder white, but it can easily be rubbed off. In this case, I used various brushes to “distress” the first few layers of FB before the final coat. Then I sealed it with Future. For weathering, I turned to my paints and pigments. Dark brown paint was used to “chip” the paint in high traffic areas. 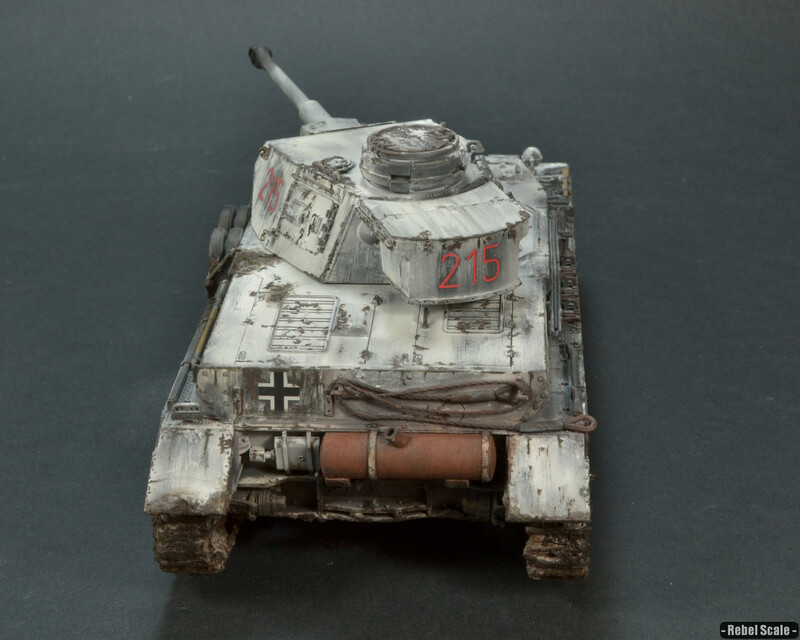 Pigments were mixed with plaster and then blobbed on the chassis. I added Future to some of the pigment areas to give it a wet, muddy look. 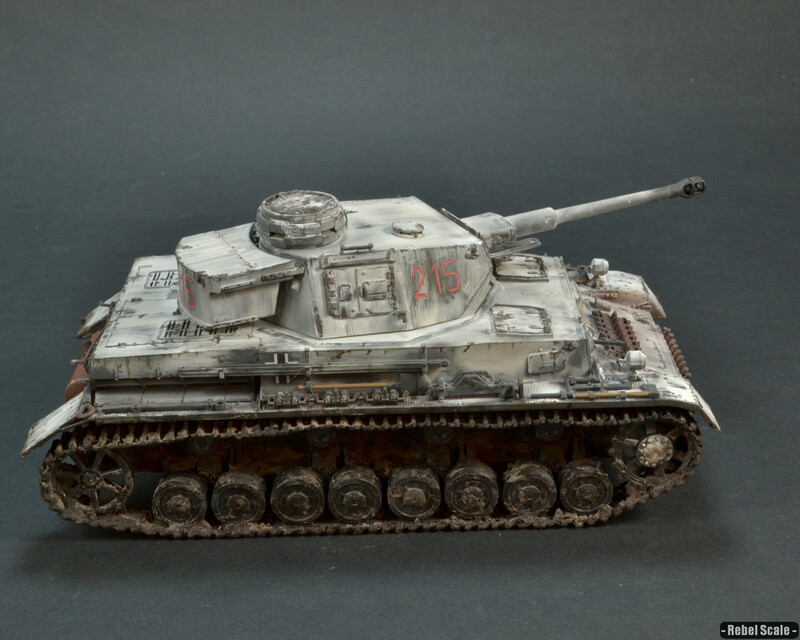 The Panzer IV was one of Germany’s most widely used tanks. 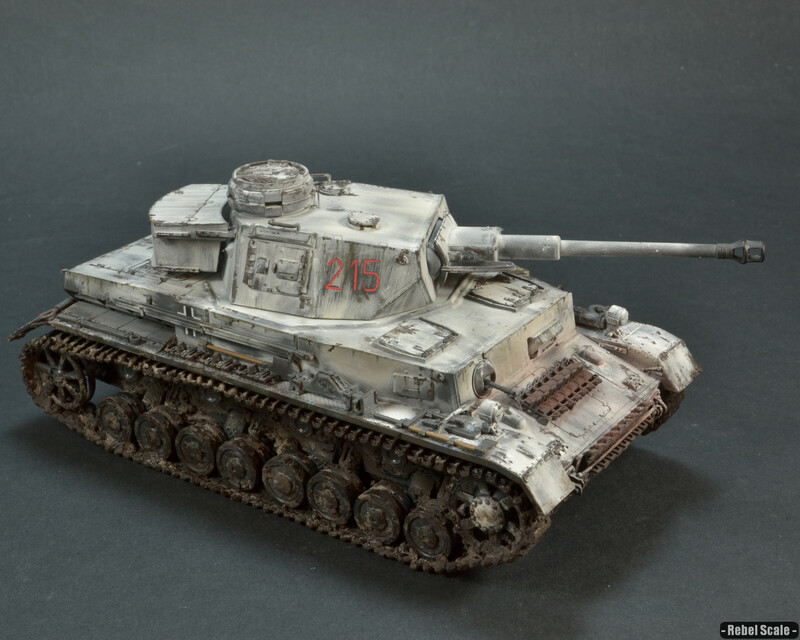 A medium tank with good all-around stats, the Pz.IV proved valuable on all fronts, particularly when Germany had trouble manufacturing and maintaining the newer, more complicated tanks. 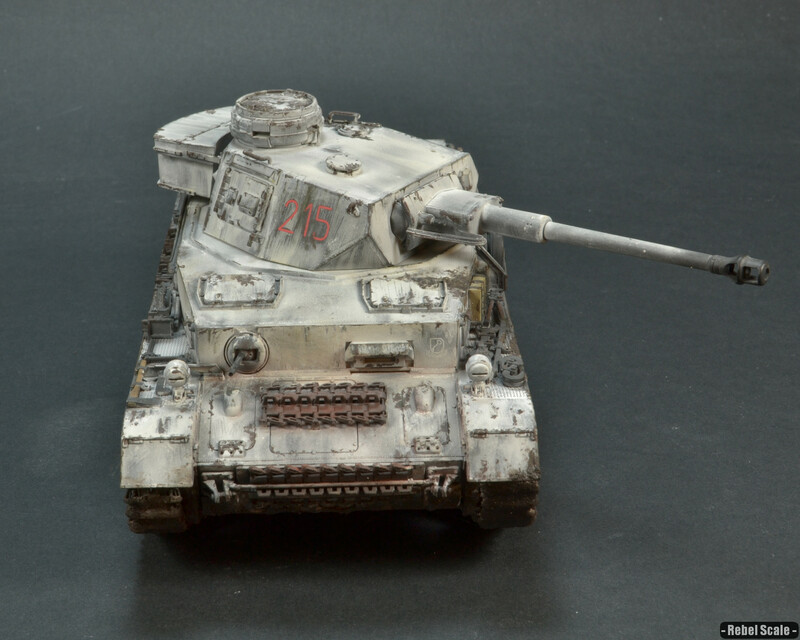 This Ausf. 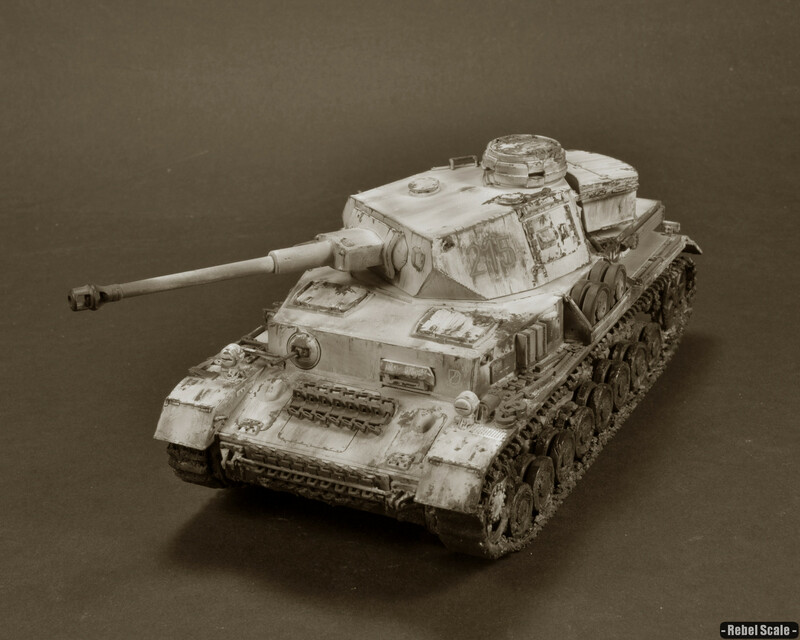 G sports the L/48 75mm cannon, as well as the whitewash used extensively on the eastern front, in this case, Kharkov.